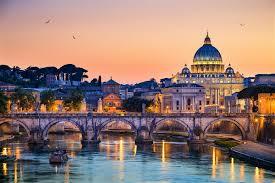 Rome – probably one of the most visited cities in the world, and for good reason. With a storied and deep history stretching back nearly three thousand years, this city couldn’t have more things to see and do stored within its limits. Between the sights, museums, backstreets and more it’s easy to see why people continue to come to Rome year after year to take in all it has to offer and more. But what should you not miss on your trip to Italy’s favourite city? Check out our top picks, and if you want to check them out in style, book a private car to take you around in pure luxury! Perhaps the most well known site from ancient Rome is this impressive structure known as the site of many a bloody battle in its heyday between gladiators who fought for favour and money. Often people would travel for miles around to the Colosseum to witness the fights between some of the country’s absolute best fighters, sometimes to the death. For a period of time as well it was a site where Christians would be fed to hungry lions in ancient times as well. One of the most famous fountains in the world, this Baroque style structure draws tourists from around the world every year to view and photograph the impressive facade which depicts a virgin assisting in the finding of the source of water for the eventual fountain – a source which served Rome for 400 years. It remains to this day one of the most impressive fountains in the world. Both of these ancient villages met their untimely fates at the hands of Mount Vesuvius when it erupted circa 79AD, burying them in ash and killing all inhabitants of each. Today visitors can explore what remains of each of these villages with life preserved just as it was the afternoon of the eruption. Undoubtedly Rome has some of the most impressive shops and shopping opportunities around! Just imagine flitting in and out of some of Italy’s most prestigious high end shops with your bags in tow. Nothing beats the finest labels – even if you’re just window shopping and wishing! Of course no trip to Rome would be complete without a trip to the Vatican, perhaps one of Christianity and Catholicism’s most important sites. Come hear a mass given by the Pope, and take in the splendour of the city itself. Be sure to dress modestly though – those not adhering to the dress code may be expected to don paper trousers and shirts before being permitted entry. These seven hills are today difficult to identify due to the years and years of continual building that has gone on, but they were in ancient times very easy to see. They still to this day provide good views around the city and surrounding areas and are a great option for visitors who want something aside from the usual tourist trail stuff. The hill names are Aventine, Palatine, Caelian, Capitoline, Viminal, Esquiline and Quirinal. Some even have specific stories relating to the Gods associated with them – particularly the Gods Remus and and Romulus. So if you’re thinking of heading to Rome any time soon, be sure to check out some of the great options for spending your time there. With so much to see and do you might find that you have to come back a few times, not that you’re complaining!